The sun is essential for human life. It provides many things that we as humans need. Unfortunately, it also provides things we don't need, things that can harm us. Thankfully, many products have been developed over the years to protect us from these harmful elements. One such example is men's sunglasses. Sunglasses do so much more than make it easier to see when the fiery ball is high in the sky. They also keep our eyes from being damaged. Many choose to run to the local discount store to pick up a new pair of glasses. Although they may appear to be the same as higher priced brands, there are many differences. With sunglasses, you get what you pay for. So, it is generally best to go with a higher priced pair. Brand name, designer men's sunglasses offer features and quality absent from cheap copies. Lens quality differs significantly between designer and discount men's sunglasses. Designer frames, in most cases, offer 99% UV protection or higher. The higher the UV rating, the more your eyes will be protected. Another benefit of this is that the skin around yours eyes receives the same protection. This ensures you won't age prematurely. The sun emits both UVA and UVB rays. These are invisible light forms that have been shown to cause cancer. They also do significant damage to the skin and eyes. Unless the discount pair you are considering purchasing specifically states that is comes with 99% UV protection, they do not. Furthermore, the UV protection may rub off very quickly on a discount pair. This is not the case with more expensive sunglasses. Lenses on designer men's sunglasses are also shatter and scratch resistant in most cases. Options you may choose include anti-fog, anti-reflective, and anti-glare coatings as well as polarization. All have been shown to improve eye health and vision while adding to the longevity of the glasses. Sunglasses with these options are also more durable. Choose the features that are important to you. Most retailers will allow you to do this. Prescription men's sunglasses are also available. The same is not true of discount pairs. Although discount sunglasses online often come with a very attractive price, they do not offer the necessary protection or polarization. Both are needed to ensure good eye health and vision. In fact, cheap sunglasses may actually do more damage to your eyes. Although designer glasses are more expensive, your vision will be clearer and your eyes will not have to strain to see clearly. For this reason, designer men's sunglasses should be your only choice. When purchasing men's sunglasses, the frames should also be considered. Often, discount frames bend and break easily. Those with plastic frames are brittle and, if mishandled or dropped, will break immediately. A low quality plastic frame comes with screw holes that are easily stripped. Once these holes are stripped, the screw will not stay in place and the frames will come apart. They cannot be fixed. The same is not true of designer frames which can hold up to more abuse. 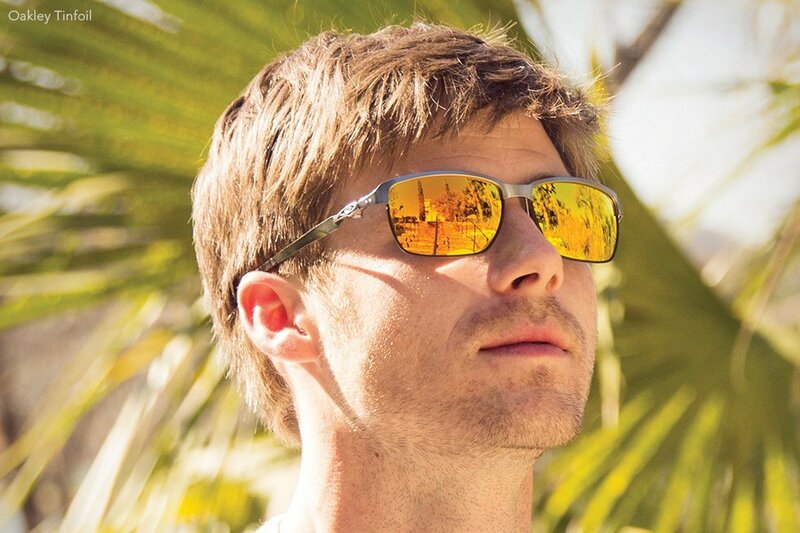 Stop and consider how many pairs of discount sunglasses you normally have to buy in a year. Now think about how you could have purchased a designer pair for the same amount of money. Many designer men's sunglasses come with metal frames. These frames are designed to restrict bending while also helping to ensure they fit your face properly. Discount frames bend easily and cannot be bent back into shape. When you buy a designer pair, you will most likely be offered a warranty so the glasses may be repaired professionally if something does go wrong. The same is not true of a discount pair. This is just one more reason to spend the extra money at the time of purchase. Some are concerned that they will buy a pair of designer glasses and not be able to return them. After spending so much money, they want to be satisfied. Many designers of men's sunglasses now offer a return policy of at least 30 days. A one year warranty, or longer, may also be included. If you choose to buy from Ray-Ban, the return policy is 45 days with a one year warranty. Any manufacturer defects will be corrected during this time period with no charge to you. Discount sunglasses may or may not be returned to a retail store, depending on store policy. If they break the day after the return period expires, you are out of luck. As you can see, designer sunglasses have many advantages over their discount counterparts. They are a wise investment for anyone.